I haven’t done much flying lately due to weather and finances, nothing new there… But I do still keep a close eye on the current technology and gadgetry. I often get asked which are my most used applications on the iPhone and iPad so I decided to make a quick list. I’m still a student (hoping to finally secure the PPL this year), but I’m sure most of this information will be useful for UK student and PPL holders alike. Most of these apps are available on iPhone and iPad. Some of them are universal apps, which means that you only have to buy once in order to run on both your iPhone and iPad. I always look for the universal app if it’s available. I have included a link to each app (just click the app title), which will give you a lot more information if you need it. 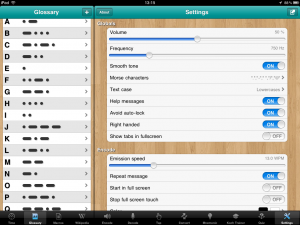 In this list I will use iPad versions as examples for screen shots. The apps are not listed in order of preference. OK, Let’s do it! To use the iPad for navigation – You need the 3G version which has the GPS chip but you don’t need to have 3G active for the GPS to work. All the apps I used allow caching of the maps so there is no need for internet access. Google Maps cannot be cached by law but none of these applications use Google maps (unless required). Released on February 11 2012. 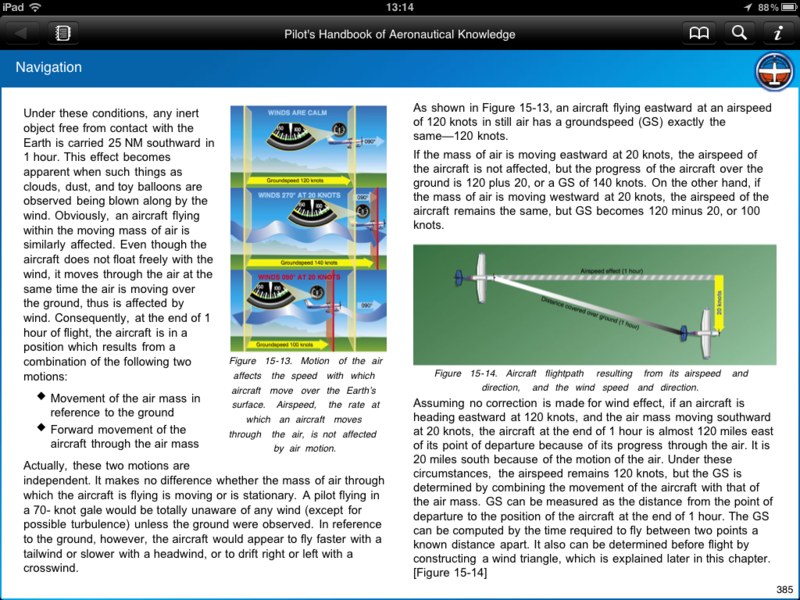 At the time of originally writing this article, SkyDemon was not available as an iPad App. Great news for SkyDemon fans is that it has now been released as a free download and if you already have an existing account you can get up and running within minutes or sign up for a month free trial. Anyone who has used SkyDemon on the PC will know what to expect. Simple, clear and intuitive controls. The map display is beautiful as expected. SkyDemon uses its own proprietary charts and as a planning tool it takes you through everything you would need. Then as you fly you will receive various warnings as notifications en-route. 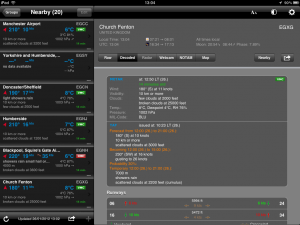 Notams, Metar, TAFs, all available at a quick touch. There are no separate, built in “instruments”, (compared to Air Nav Pro’s Altimeter, HSI, VOR, ADF etc.) but all the info you need is easily available. 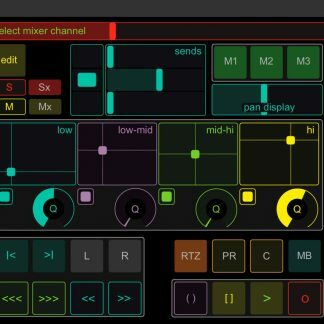 As this is the initial iPad release, I’m sure we can look forward to more features and speed, the developers are totally on the ball with this one. 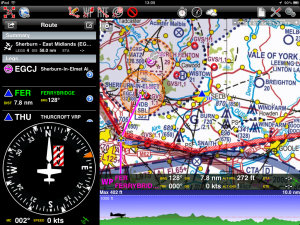 For now, although expensive, this has got to be one of the top choices for iPad pilots everywhere. I have used this since it was first released and it is constantly improving. 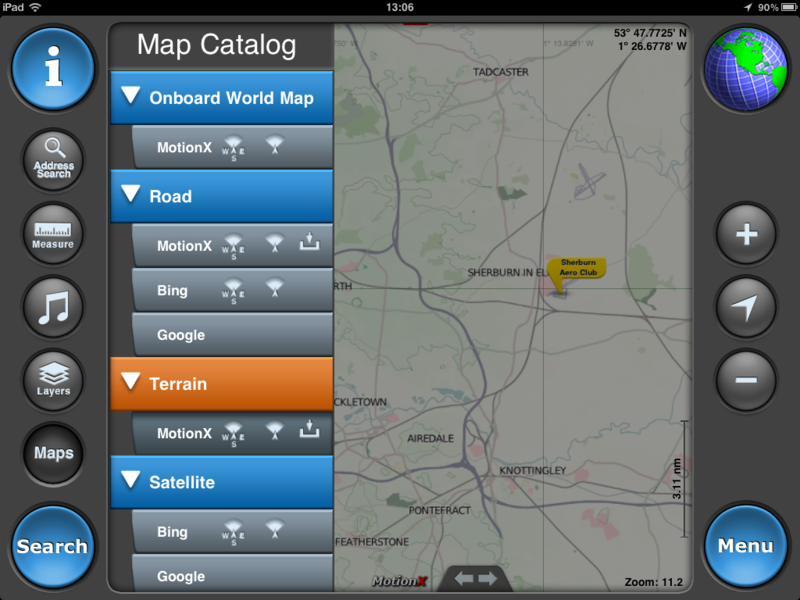 The developers update the app regularly and recently added CAA maps and many other features. 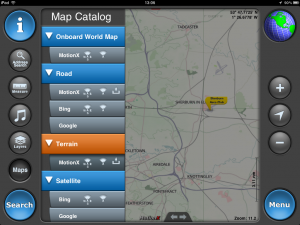 Air Nav Pro can be used to plan many aspects of a flight. The moving map display is great and works very accurately too. Overall cheaper than SkyDemon and no subscription required. One of the original GPS iPhone apps. 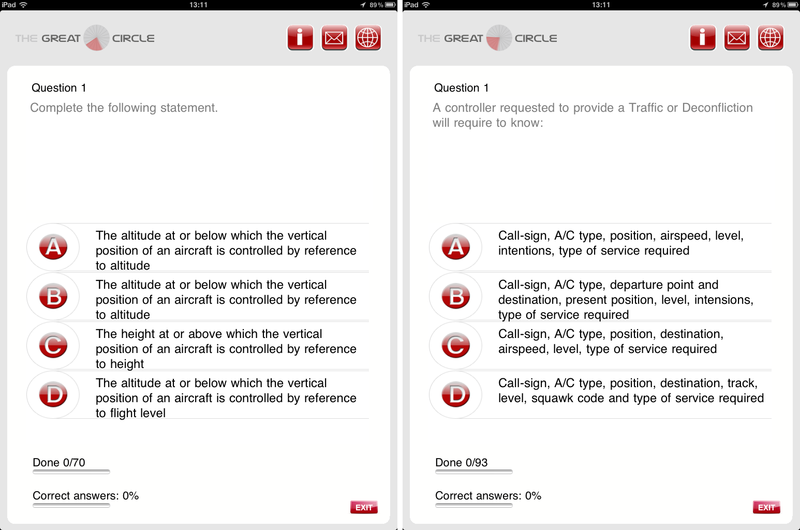 A whole load of features for many types of GPS work other than just aviation. Also regularly updated by the developers. 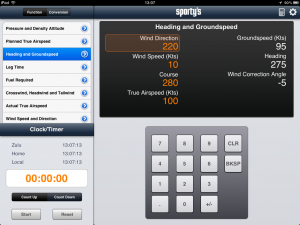 I use this primarily on the iPhone when flying – to record the track of the flight. 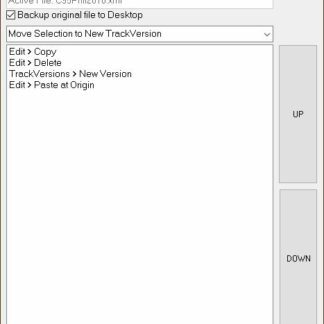 You can save tracks, positions, and use the moving map for navigation. If you already use Memory Map then this may well do the job for you. 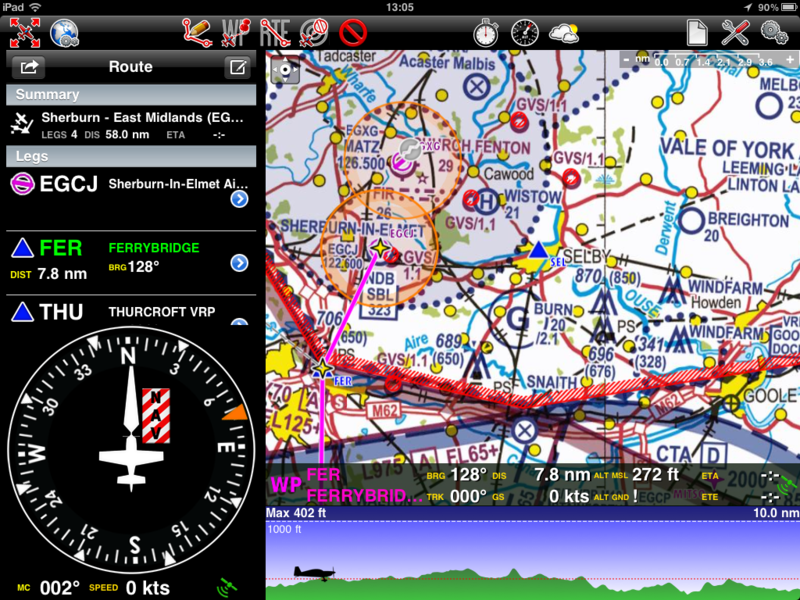 It’s not as targeted toward aviation as Air Nav Pro but has a beautiful display and many map based features. 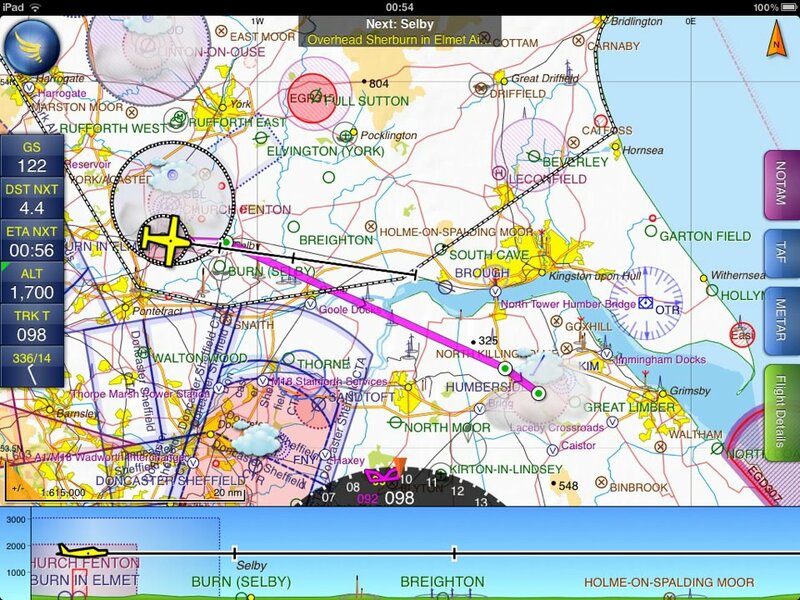 Also the ability to use your existing Memory Map data if you have any (CAA charts etc). Memory Map also works as a moving map display but there is no air specific overlay. Any pilot will tell you – There is no such thing as having too much information about current and forecasted weather. Now we have some great tools to keep us informed about what is happening in the skies above. 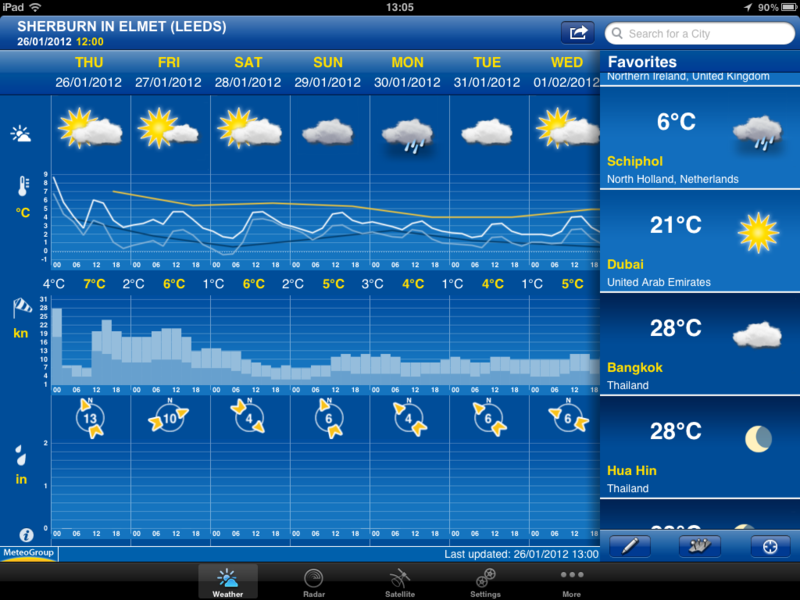 This is the definitive weather app for UK pilots. There is nothing that really comes close to it for usability and information. 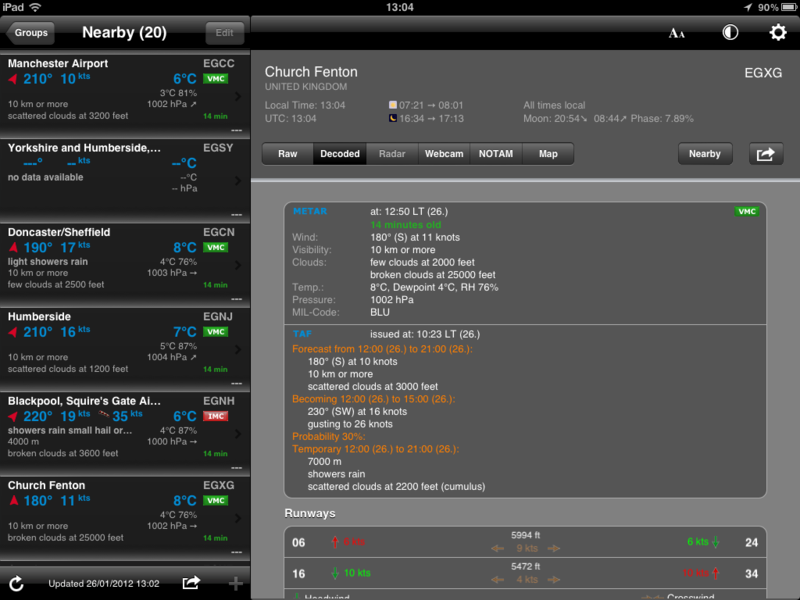 You can easily see TAF and METAR information from local stations and search for data further afield. There also are a ton of options for display formats and favourite stations. I also purchased this when it was first released and it has been updated and improved constantly. More of a standard weather app and not really aimed specifically at the aviation market, but very handy for double checking the situation. Lovely display and a ton of features, including satellite imagery of fronts and could formations. 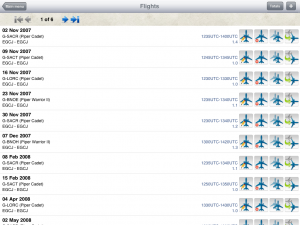 These are apps that have many uses, even when you’re not actually in the air. There are a plethora of calculators available. Many of them do the same thing, albeit in slightly different ways. This is the one I find has all the required features and is clearest and simplest to use. It is also one of the more expensive ones at this time, but I think the quality is worth that slight extra cost. These are primarily for students, but are also great revision tools. 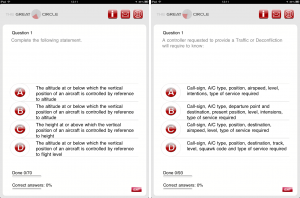 With the aid of these apps (and some ground-school of course), I passed all my PPL exams quite quickly. I now find that having these apps available helps me not to forget some of that all important information. This is an American based handbook which contains a huge amount of reference information. It includes some great graphics and comprehensive explanations. Very handy for brushing up on some of those more forgettable areas and also a very interesting read. Just be aware that some of the information is not 100% accurate for UK pilots. Everything Morse Code. 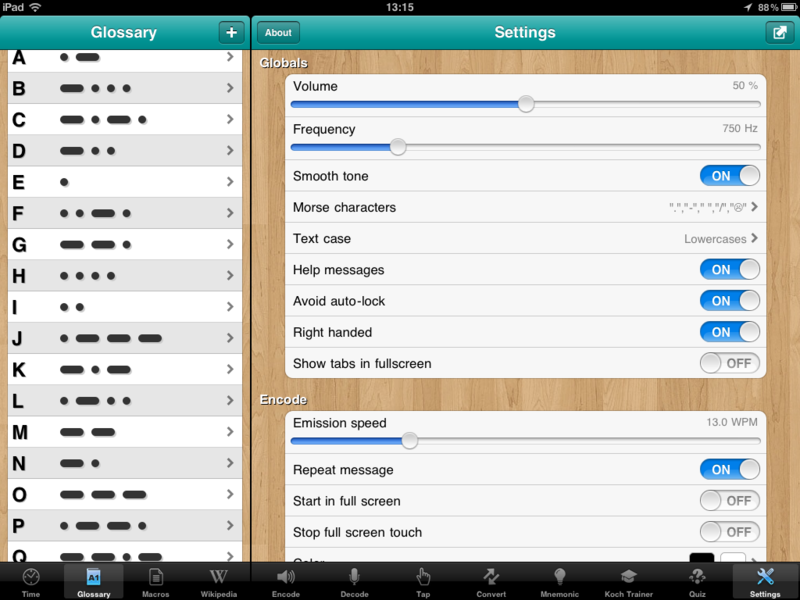 You can use it to help you learn and to encode and decode various types of Morse. All presented in a very intuitive and fun way. 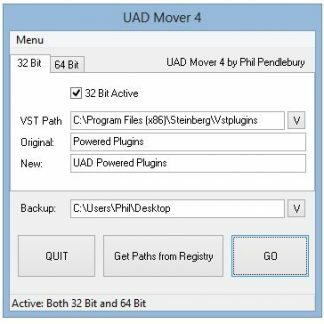 I have added this as an eleventh bonus app in a list of ten, as it is based around the PC software. I use Safelog for the PC and this app links nicely with it. You can add lots of information along with the actual log of the flying hours; relevant dates, pilot names, tracks, maps, pictures, weather etc. 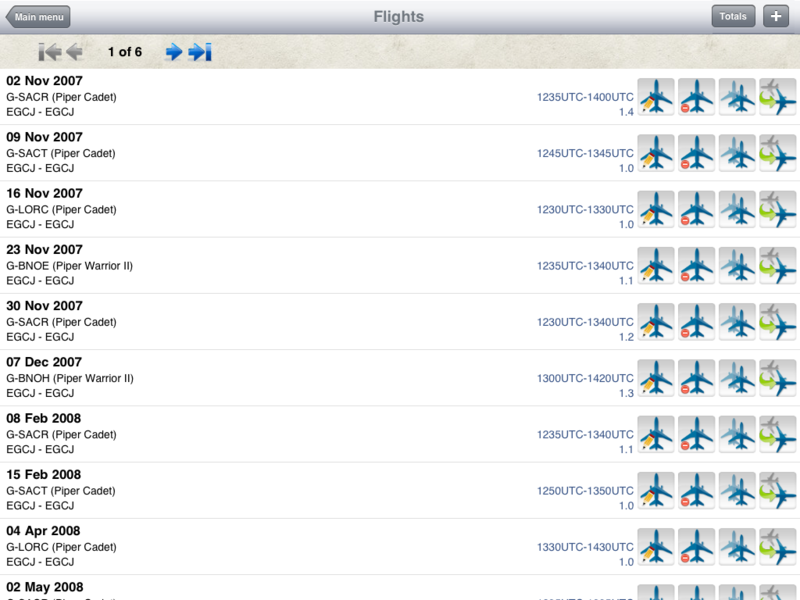 Safelog also calculates total time flown; Solo, PUI, Dual and others. It is very easy to create summaries and reports. If you find that you would like to keep a computerised record of your flying as well as your actual log-book then this is for you. This is by no means a definitive or comprehensive list. These are apps that I have found useful and hopefully will continue to do so. I would welcome any comments or suggestions about anything I may have missed. Also please note that prices and offers do change quite often. 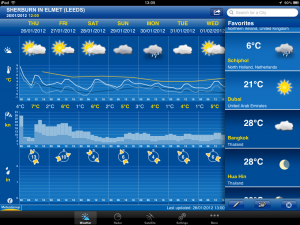 Final comment from me – I wish they would bring out Sky Demon for the iPad and I wish the bloody weather would improve.